Natch'l bluesman Taj Mahal released his first album in 1968, which means that he's now been in the blues business for 40 years. "I've outlived the former music business," he told me when I asked what had changed for him over that time. "I started out playing music that I liked, music I thought needed to be heard, that needed to have someone play it. Young African Americans of my generation needed to be responding to the traditional music that had been passed to them. Somehow or other it had been passing people by. A bunch of other folks picked up on the music and did real well with it. I didn't see that I should be left out, especially when it comes to my culture. I wasn't mad at nobody, because I don't talk that way -- I just put my energy out there. If you want things to change you gotta do something about it. So, that's what I've been doing, doing something about it ever since." When he said "other folks" picked up on the blues, he basically meant young whites were embracing the blues, in part via British blues players. I wondered, wasn't the blues pretty much considered old folks music in the black community? The question struck a chord. "That was the urban audience. They saw themselves as being connected to what was new and what was more hip. If you were country, there was something wrong with you. OK. Now Mr. Urban Know-It-All, whoever you are, eating food that's being genetically altered by Archer-Daniels-Midland, poisoned by Dow Chemical insecticides and Monsanto fertilizer, you tell me what was wrong with being country and knowing how to handle your food? Now we're all in the same boat and you're better off if you have that knowledge. "My interests as a youngster were two: music and agriculture. I figured there was no way a culture was going to get away without those things. So I learned about the older style of agriculture. It doesn't change. I don't buy the modern way that says I'll just walk in my kitchen and be totally serviced and I'll be fed and washed and put out the door and I'll never have to lift a finger. What kind of foolishness is that? There are people who want that, but I think that's the reason we have the drain on our resources we have today. Everybody's waiting for someone else to do it, for someone else to carry the load. The guys at the top figure the consumer will be the one to pay for it, all of it. And look where that brought us. "But for me, music has been the highway to stick to. When I connect with the music of my people in Africa, we're talking about 149 generations. It's not, 'I didn't get a hit so I quit and drove tractor for awhile, then they convinced me to come back and now I've got a big hit and everything's great.' No, this is a real serious commitment, man. It's like what are you doing here on this planet? "What makes me able to do what I'm doing is, I know when I wake up in the morning and think about the music, or music comes to visit me in my sleep, I know I'm on the right path. And I'm lucky because I get to do what I love. That's what this 40th is all about, to say, 'Here I am, and thank you guys for supporting me all these years. And I'm still here, still lovin' it, just like I was in the beginning.'" Feeling natural? 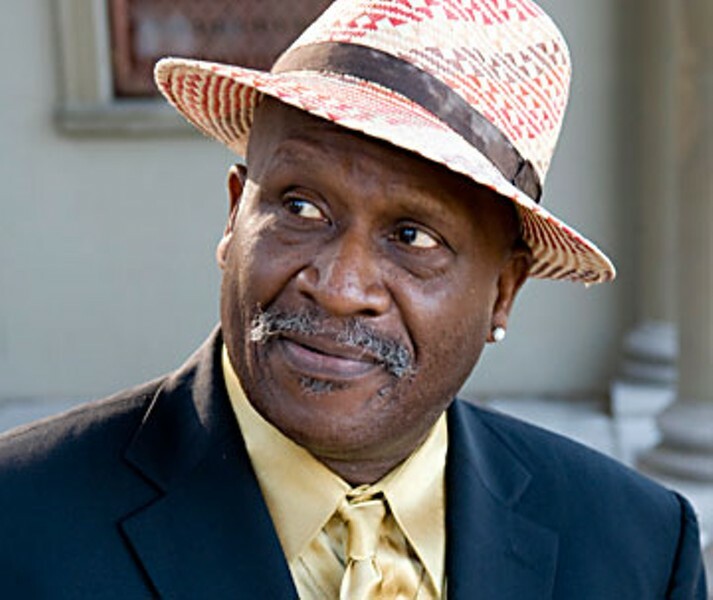 The Taj Mahal Trio plays Saturday night at the Van Duzer. It's hootenanny time Saturday at the Arkley Center, with a flashback to the folk revival featuring The Kingston Trio and The Brothers Four, two combos that had smash hits back in the ’50s and early ’60s with their clean-cut take on folk. Formed in 1957 in Palo Alto, The Kingston Trio made their name with an extended gig at San Francisco's hungry i and a surprise hit version of the murder ballad "Tom Dooley," and a series of very successful albums. The original trio lasted 10 years, disbanding in the Summer of Love. One member, Bob Shane, wanted to keep things going and bought the name from the others. Until he retired in ’05, Shane worked with a rotating group of singers included former members of The Limeliters and The Brothers Four. The Brothers Four were frat brothers at U. Wash in Seattle when they got going in 1958 (which means they're celebrating their golden anniversary). They followed a trajectory similar to the K. Trio, moving to S.F. and scoring pop hits with "Greenfields" and "Green Leaves of Summer." Only Bob Flick remains from the original line-up; Mark Pearson has been a Bro off and on since 1968. Meanwhile across town at the Eureka Theater, it's a flashback of a different sort as San Fran-based House of Floyd offers a tribute to the psychedelic rock band Pink Floyd. Expect a Floyd-esque show with lights, lasers and theatrics. Like Deadheads, they're devotees who say, "For each of us, Floyd has simply become an all-encompassing obsession about life, death and everything in between." And out in Blue Lake Saturday we have another tribute: Garratt Wilkin and The Parrotheads present "A Celebration of Jimmy Buffett's Music." I'm guessing margaritas will be the drink du jour. The Bucky Walters play "bluegrass and beyond" Saturday as part of the Mateel's massive Humboldt Hoedown down at SoHum Community Park (see calendar for full details), but first, on Friday, the band celebrates completion of a new CD, Phone, at Mosgo's. Of course the Phone of the title is one of those old timey models, not cellular or Bluetooth. Berel Alexander opens the Mosgo's show. Mosgo's is CD release central this weekend: Saturday, ex-local Casio cuties The Ian Fays are up from Frisco for an all-ages CD release party for their latest, Dylan's Lost Days. The Fays also play Friday at the Lil' Red Lion; both local shows pair them with their friends Hey Eleanor. Incidentally, if it's like the twins' other albums, the Dylan of the title is probably not Bob, but some ex-boyfriend. Classical fans have a choice to make Friday: The new season of the Eureka Chamber Music Series at Calvary Lutheran begins that night with pianist Anton Nels playing Beethoven. Over at Fulkerson Hall, it's "Fascinating Rhythms" with soprano Elisabeth Harrington, clarinetist Virginia Ryder and pianists Deborah Clasquin, Ching-Ming Cheng and John Chernoff (HSU music faculty all) performing jazz-inspired classics. The show's name comes from one piece that Clasquin will play, part of a collection of etudes by Earl Wild based on Gershwin tunes. Humboldt Baykeeper celebrates another birthday Friday with a bash at the Arcata Community Center. Dinner from Hurricane Kate's, speeches, awards and the requisite auction are followed by vibrant music by The West African Highlife Band, an all-star ensemble from the Bay Area. Leader Ken Okulolo came to the U.S. from Nigeria with King Sunny Ade and later formed Kotoja. Guitarist Soji Odukogbe, also from Nigeria, played for years with the late great Fela Kuti. Percussionist Nii Armah Hammond, from Ghana, was a founding member of Hedzoleh Soundz. Is this sounding familiar? The same band played for the same event last year. And same as last year, you're welcome to skip dinner and just come to dance.